Danielb says: "Wanna ride on Monday?" Jenni says: "Sure, but I'm still recovering, can we do something flat and kind of easy?" 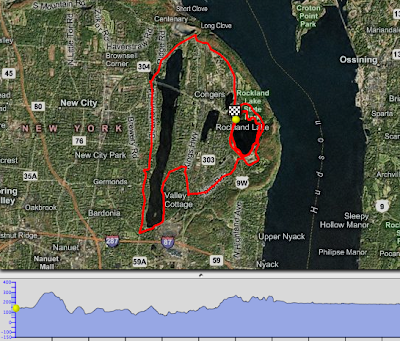 Please see the above HILL profile for today's ride, which incidently started at 6:30 AM. It's getting chilly out that time of morning too...brrrr. I probably could've been more bundled up and stayed that way for the whole ride, it was just warming up when we finished. Hah. :~) "That's the last hill..." 'nuff said.